IMPORTANT: Make sure you manually select the proper shipping option. 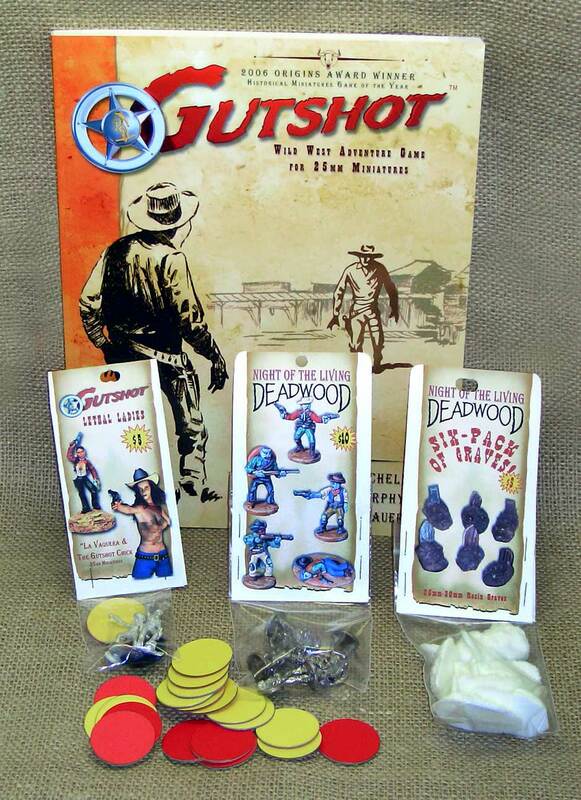 Before you order from us, check to see if your Friendly Local Game Store is carrying Gutshot. 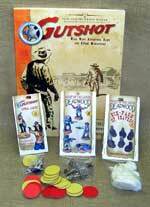 Check our "Where to buy" page for a list of shops where you can get Gutshot. 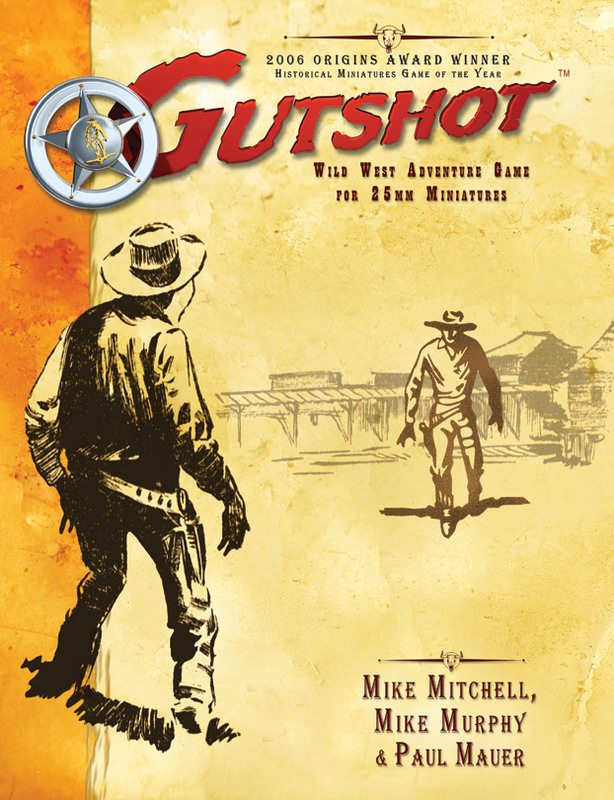 Round up everything we've got, pardners! 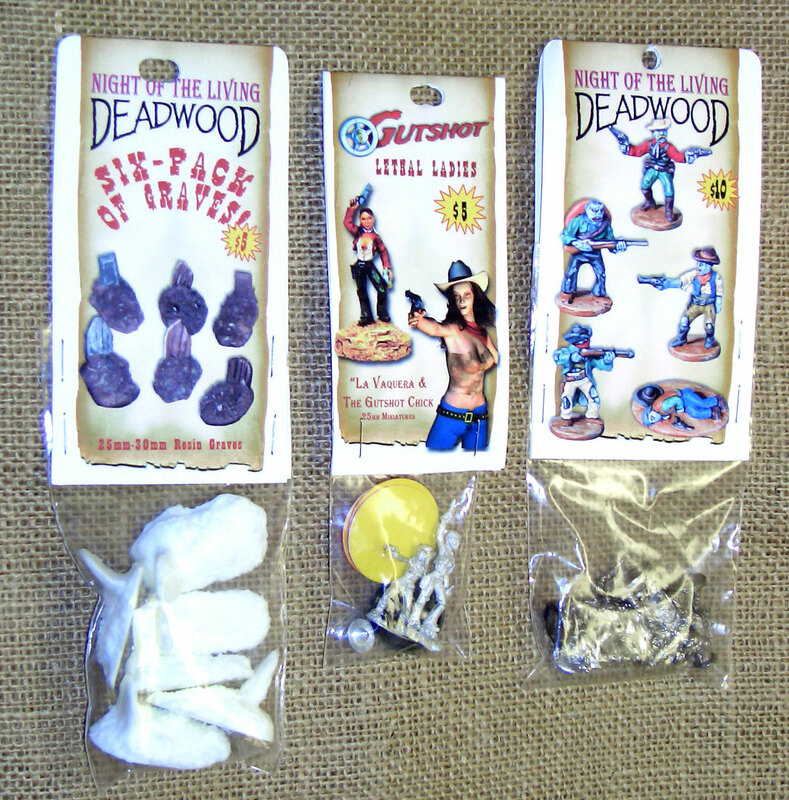 This includes the Gutshot Core Rule Book, 5 undead cowboys, 2 lethal ladies miniatures, a 6-pack of graves, and a pack of our 2-sided movement tokens! 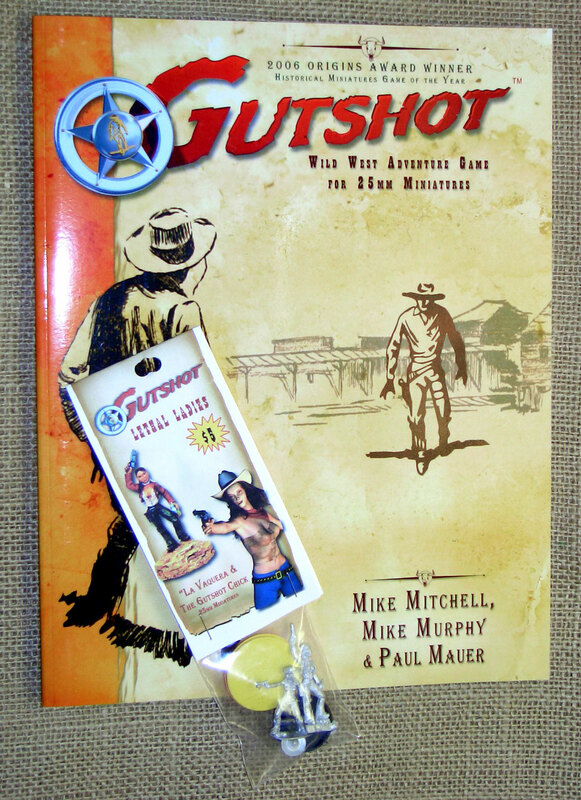 Oh yes, it's ladies night and the feeling's right for this combo that iincludes the Gutshot Core Rule Book and our Lethal Ladies miniatures pack! Just because it's small doesn't mean it's not a great deal! 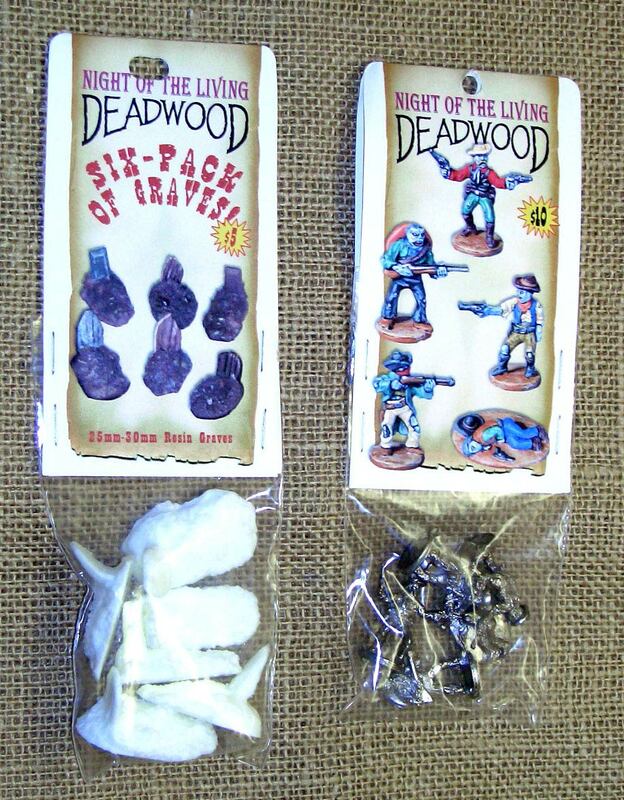 Pick up all 7 miniatures; the 2 ladies can take turns killing the undead cowboys and then planting them in these resin graves. Hmmm. 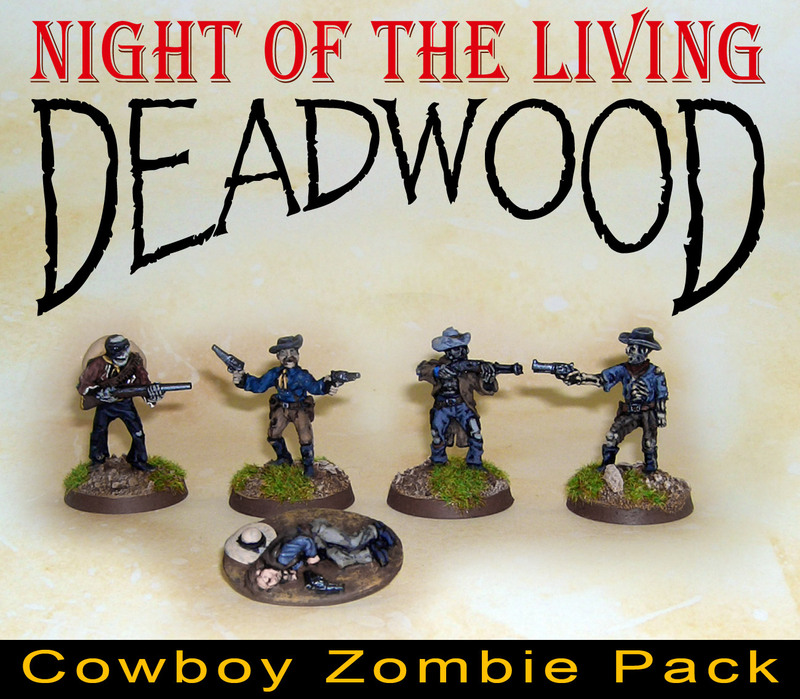 Did these undead cowboys just crawl out of their graves, or are you about to send 'em there? 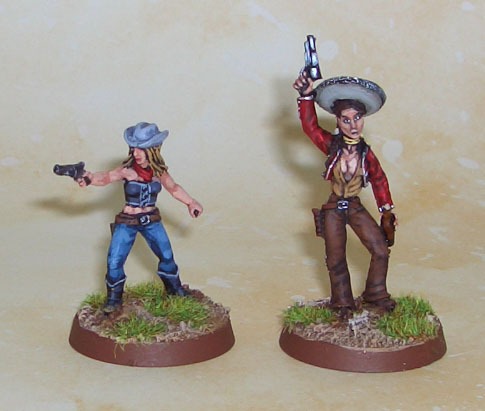 Our first 2 miniatures: La Vaquera and Arizona, the Gutshot Chick. 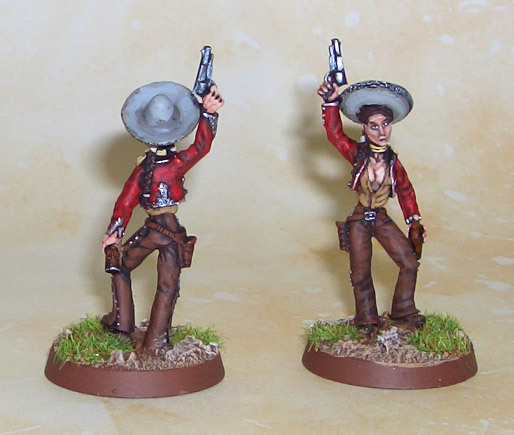 La Vaquera is 28mm and is slotta based (base included); the Chick is 25mm and does not require a base. It ain't easy bein' dead... but it sure is fun. That's why these evil hombres are trying tl make everyone join 'em! 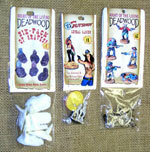 These miniatures are 25mm and do not require slotta bases. Note: There are 9 figures in this series. 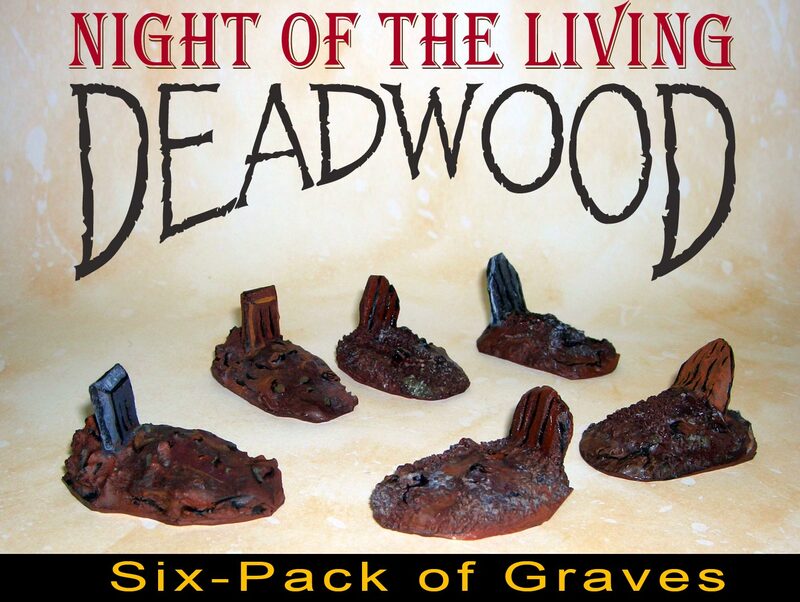 Each pack has 6 different random graves. If you order more than one pack, we'll try to mix them up for you. Everybody needs a place to call home -- even if that home is six-feet under! 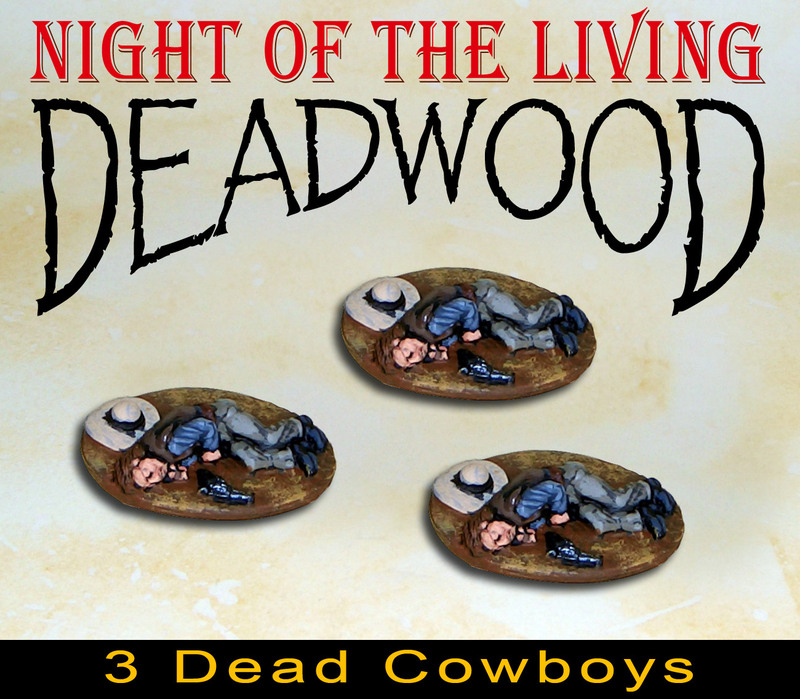 These 28mm scale graves are perfect for any Boot Hill. They are made of high-quality white resin and are sold unpainted. Whether your cowboys walk around, or have the decency to stay dead, every game can use some dead cowboy tokens. Dangerous and ready to ride, this lady bears the name of the state she hails from: Arizona. This mini is 25mm in height and is not slotta based. This lady is more deadly than the men foolish enough to challenge her. This mini is 28mm in height, and slotta based (base included). 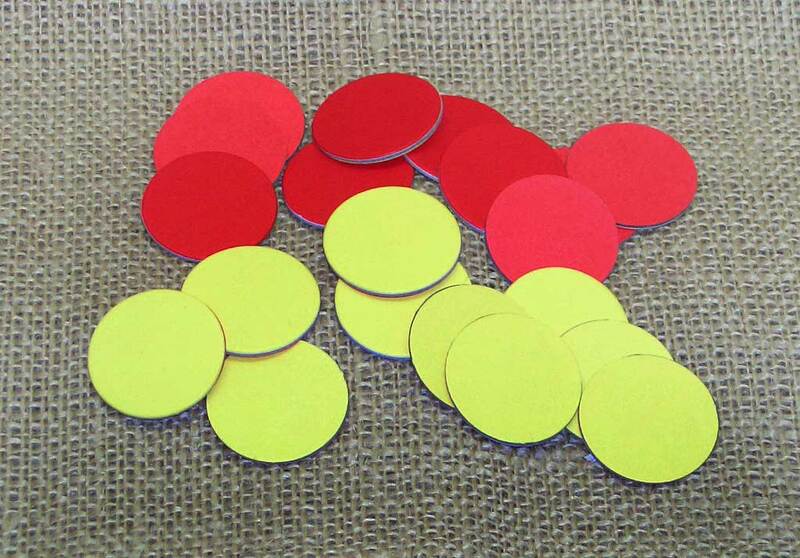 Each disc has a 1.25 inch diameter, has a low profile and is red on one side and yellow on the other. 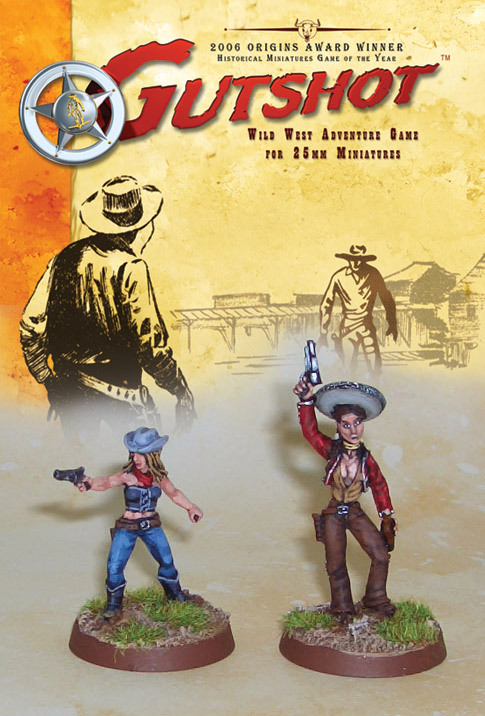 We put these two-sided cardboard tokens under our miniatures to show their movement rate. We use yellow to show Trotting and red to show Running. This helps us keep track of figure movement during games. We STRONGLY ENCOURAGE you to get insurance. We're not responsible for lost or damaged books that were not insured. Note: Shipping & Handling will be calculated by the shopping cart, based on the weight of the books you are ordering. International orders: please contact us for shipping! 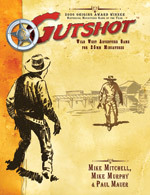 Click here for FREE SHIPPING FORM!